I had only recently learned that the original Umami Burger location had been shuttered. That location had previously served some amazingly good and some amazingly bad burgers. Quality control during expansion took its toll on that location, and I was glad to see it close. While running an errand, I noticed there was a new business open in that building. The Marinater and I showed up the next evening to sample the cheeseburgers at the recently opened (May 13, 2013) True Burger. True Burger was diagonal to Mo Better Burgers, and it was just South of both Rascals and Luna Park. There was no lack of burger competition on that stretch of La Brea Ave. that had been dominated by the once great Umami Burger. The interior was largely unchanged, but the service was better. Our cheery server took our orders, and we waited for about 10 minutes for our $11 True Burger cheeseburgers to arrive. While we waited, we chatted with the GM and learned more about True Burger. 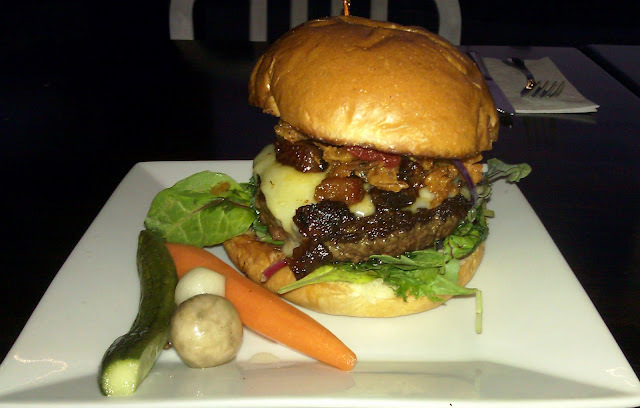 The Beef: True Burger created the thick patties from a custom blend of Skirt Steak and Short Rib. This was sourced from Meyer Natural Angus. The beef was 100% hormone-free, grass-fed, Angus. The patties were about 6.5 ounces each, which was a relief. The former tenant served up burgers so small that one left hungry. This was not the case at True Burger...we were pleasantly full after we each had a burger and some of the generous portion of fries. The beef was exceptional with plenty of blood and juices to go around. The fat content was 20%. The flavor was beefy, and it was rich with minerals from the steak. The funk was mild. The mouth feel was superb--the Med-Rare Skirt Steak and Short Rib blend were just firm enough to linger after the bun and cheese had departed. It was reminiscent of Umami Burger in terms of the quality of the beef. The beef at True Burger did not smack us with a heavy dose of umami flavor, and that was appropriate. The burger tasted of simple, high-quality ingredients. 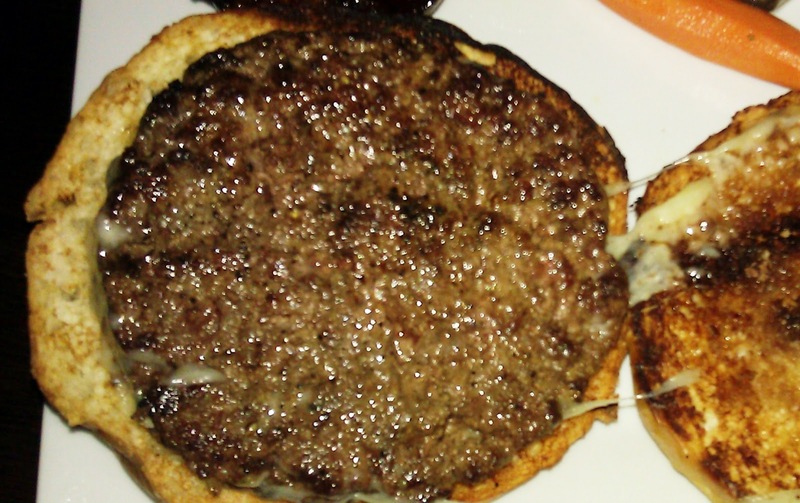 The Seasoning: The exterior of the burgers was dusted with a savory seasoning blend. This was just right, and it served to amp up the strong beef flavor. The Sear: The sear on the underside of my burger patty was relatively unimpressive. The sear on the top of the patty was crisp and imparted a nice texture shift to the Med-Rare patty. The sear worked. The Preparation: True Burger took the time to grind and blend their own burger beef. The grind was coarse, and the uniformly thick and round patties were packed loosely. The burgers were seared to a perfect Med-Rare on a properly hot griddle/flat top. The Cheese: The True Burger came with white Cheddar. The Cheddar was perfectly melted. This particular cheese was creamy, savory, and tangy. The Cheddar stood up to the beef and bun and delivered a subtle tart note that carried through the bite to deliver an even counterpoint to the savory and beef notes of the burger patty. The Bun: The bun came from Melrose Baking Company. The bun was a fresh, light, fluffy, moist, unseeded and thoroughly toasted burger bun. The bottom bun was toasted to the point that it delivered crunch in every bite--this was a detail that I deeply appreciated. The bun was moderately sweet with no note of yeast. The Toppings: I ordered my cheeseburger bare, so that I could sample it in its elemental state. However, the house-made ketchup was spot on, and it tasted fresh and like something directly from the garden. The ginger mustard was a fine dipping sauce for the fries. The sweet soy reduction...what wasn't to like about that. The plate was garnished with a nice assortment of pickled vegetables, which was a nice touch. The BIG winner was the Bacon Jam. This was a misnomer, since it amounted to a second course composed of pig candy. The Bacon Jam at True Burger was 1/4 inch cubes of cured bacon, which had been slow cooked and then coated in a sweet glaze. True Burger, why did you wait so long to appear? When I die, my sole regret shall be that I did not eat enough of True Burger's Bacon Jam. 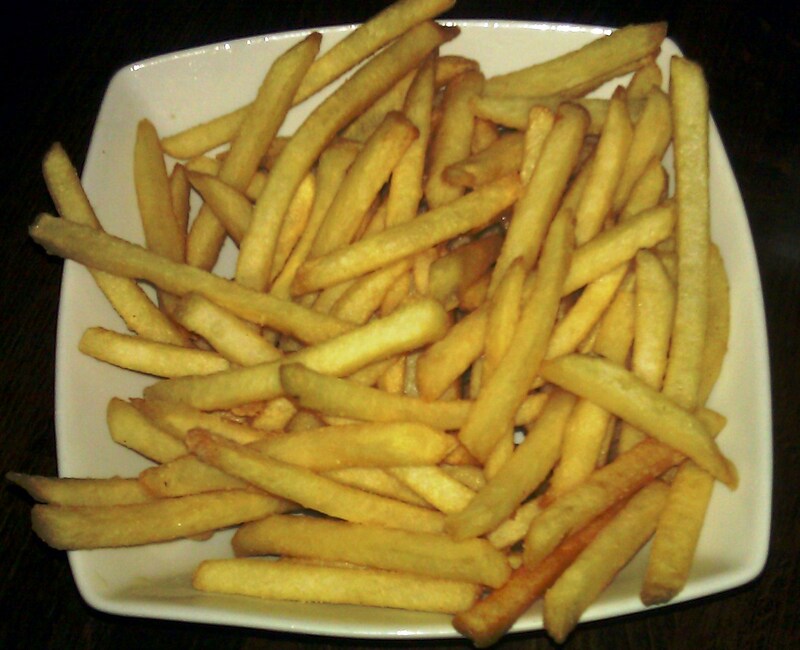 The Fries: These came in bagged, par-cooked, and frozen. The fries came to the table perfectly crisped and seasoned. The generous portion was more than enough for the stuffed Marinator and myself. The Value: Kaboom! We were stuffed. True Burger served up a man-sized cheeseburger. The fries, while $4 extra, were abundant. An average of $13 each for a filling and excellent burger was just fine. True Burger's cheeseburger seemed to get better with every bite. I begged the GM of the new establishment not to fuss with it. It was just perfect the way that it was. Quality ingredients, passion for food, and diligent care in the preparation all came through in a truly delicious burger. Burger Review : Go to True Burger. Go there before it is discovered and the inevitable lines form. If there is a line, stand in it...it will be worth the wait. I'm looking forward to trying this. Good review. Glad about the combination of beef used. And I like cheddar. "The bottom bun was toasted to the point that it delivered crunch in every bite--this was a detail that I deeply appreciated." Me too. There's a typo in 2nd to last paragraph. You are not just perfect, but close. I wonder if people know they can click your photos to enlarge. Took me years to realize this. Gah...great catch. I proof each posting, but sometimes I catch little things like that years later. I do hope that they leave this burger alone. It was terrific. I would suggest that you let it rest for a minute or so. I found that the flavors really developed as it cooled. Wow,no more unami?? Good to hear! !Im wondering were true burger got their inspiration from sounds really tasty!